I swear…I blinked and months have passed. It is full-on autumn here in the PNW. I feel like I say this every season here, but Fall is truly magical in Portland. If you geek out over fall foliage, come to Portland for the second/third week of October. Planning sessions this time of year can get a little dicey, because while the foliage may be spectacular, the weather itself doesn’t always agree. 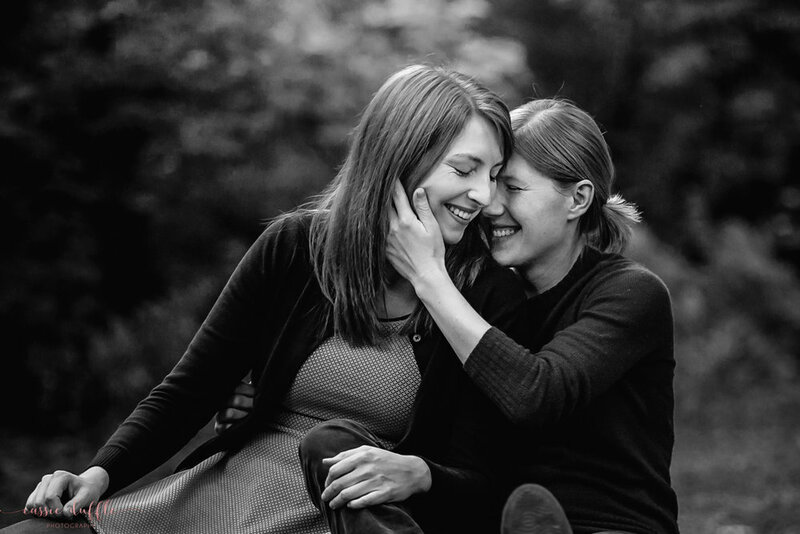 October usually brings the return of the rain, mist, and fog, and beautiful as foggy photo’s may be, the sun is really more of the preferred weather for sessions outdoors. 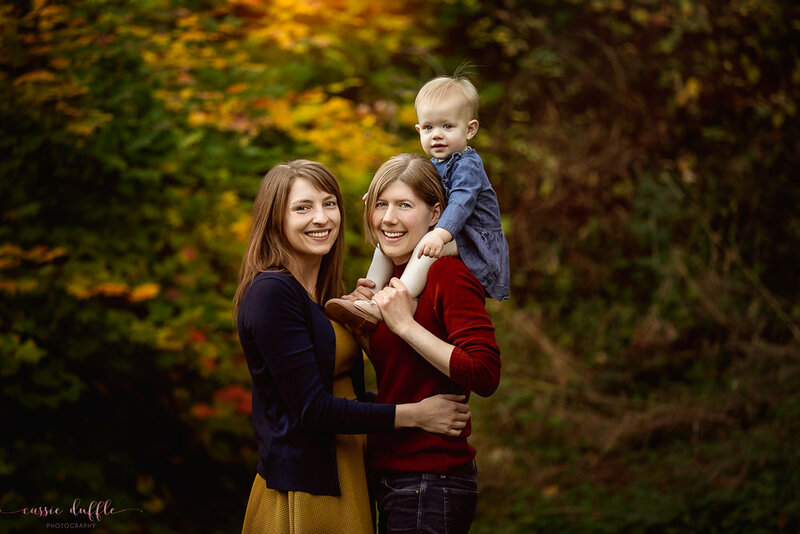 Alice, Laura and baby Q nailed their session date. The weather last week was sunny and 70 nearly every day, with clear, cloudless skies. 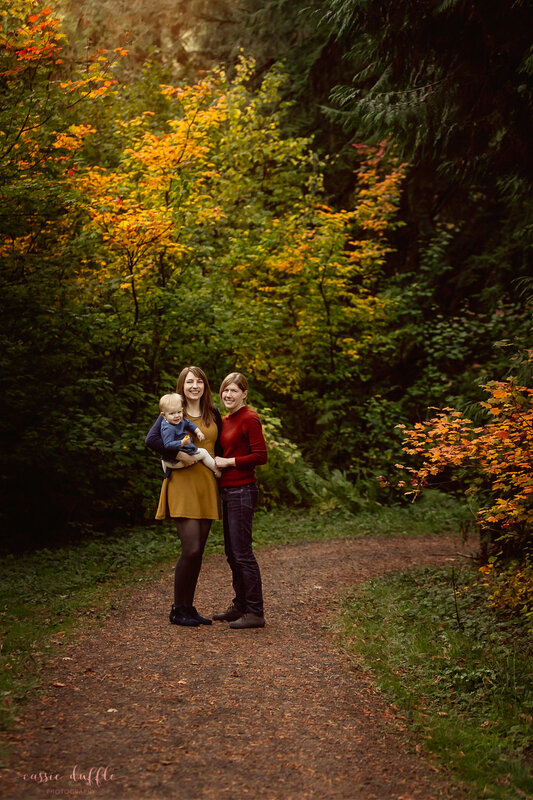 The foliage was at peak, so the colors were stunning…And can we talk about their wardrobe for this session?! These three were perfectly coordinated without being too “matchy-matchy.” Their clothing really complimented the spectacular background, and their snuggly, coziness with each other pretty much made this session downright magical. As I said on Instagram, I could do a million more sessions just like this one.